Want to have your own personal live concert on the go? 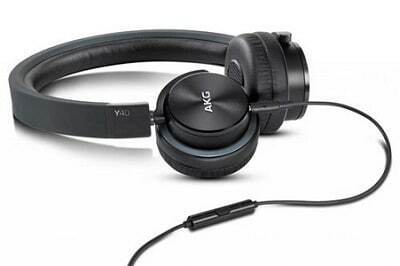 Then the AKG K450 are headphones you should consider. These foldable cans are not only convenient to bring around, but also deliver with high quality stereo sound, a robust build and long lasting comfort. Audio purists might not fancy the K450, since they don’t have a ‘flat’ response. That doesn’t mean that the headphones are ‘bad ‘in any way – they were simply built for an enjoyable listening experience rather than for accuracy. Sounds are warm and lively, while a tight bass control makes them perfect for modern genres like pop, rock and electronic dance music. The word that comes to mind is ‘fun’, as the K450 dishes out audio that is crisp and punchy without being harsh or clinical. Bass is dynamic with plenty of weight. The fact that they have a wide frequency response, ranging from 11Hz to 29,500Hz, means that they are able to handle both low and high frequencies well. 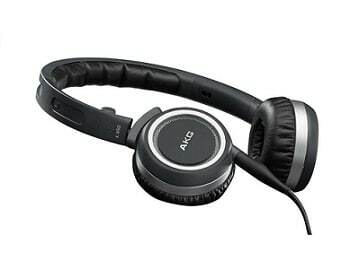 The headphones come equipped with a pair of large, high-end drivers, as expected from a brand like AKG. The audio is vibrant and clear, with mids that are loaded with detail, vocals that shine, and crispy, sparkly trebles. Separation isn’t the best, as there seems to be a slight bleeding of the bass into the mids, but this is hardly noticeable, especially for casual use. They work best with tracks that have a powerful, chunky bass, as delicate and light sound signatures tend to distort more easily. The soundstage is decent, although nothing to shout about. Thanks to their easy-going, laidback tone;these headphones are non-fatiguing and comfortable for long listening sessions. One thing to note is that although sounds on the headphones may appear pale and weak out of the box, but once broken into, the audio quality improves significantly. 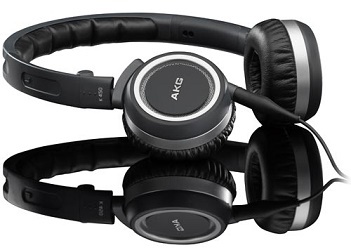 The AKG450 has a low impedance of 32db and a high sensitivity rating of 126dB, so they work best with portable music devices such as smartphones and MP3 players. They aren’t recommended to use with amplifiers or high voltage audio output sources. 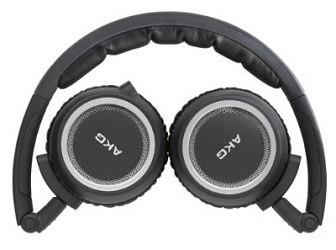 The K450 is marketed as a ‘premium’ set of foldable headphones, designed for use on-the-go. Calling them premium seems like a long shot, but they do have a robust build and are made from solid, high quality materials. Most DJ-inspired headphones are notorious for their bulk and large size, but the K450 is surprisingly compact and lightweight, weighing just over 4 ounces. This is good news for people with smaller heads who prefer on-the-ear headphones, but are worried about the cups swallowing their faces whole. The thin headband and ergonomic design helps to distribute weight evenly over the head for a more comfortable wearing experience. The band terminates into a pair of swivelling ear cups that can be adjusted for a customized fit. The cups are supra aural, so they go on the ears instead of over them – which means that noise isolation is not as good as circumaural types. To compensate for this, the K450 has a tight clamp. This can be uncomfortable for some users, but they also ensure better noise isolation and a non-slip grip. The headphones perform fairly well in noisy environments, blocking out ambient noise whilst still allowing some sounds to filter in so that users are aware of their surroundings. Despite being quite small and portable on their own, AKG goes one step further by including a unique 3D-axis which allows the cups to fold down for easy storage. The body is mostly made from plastic, with metallic finishes here and there. Build is sturdy, so the headphones should be able to take a few drops and falls with minimal damage. Adding a touch of luxury and comfort is their ultra-soft ear pads, made from a velour-like material. The padding is fluffy and easy on the ears, although it can get warm in summer, especially since the clamp is tight. Looks wise, the headphones are pretty basic, with small round ear cups that sport the company’s logo. The color scheme is a spartan black and silver. The K450 comes with standard accessories, including two lengths of cables measuring 1.1m, with different connections. One is the standard 3.5mm audio jack, which is hard gold-plated for corrosion resistance and maximum connectivity. The jack is compatible with most devices, including smartphones, MP3 players and home stereo systems. The other cable has a 6.35mm (1/4”) connection. Both cables are 99.99% oxygen-free for better sound quality, and have single-sided connectivity to the ear cup in order to avoid tangling. It is rather disappointing that the K450 does not have an in-line mic with volume controls, something which their sister headphones, the K451, has – but users can always purchase a separate accessory kit from AKG. They also come with a semi-hard case for storage and transport. There are a few hits and misses with the AKG450, but overall, they offer great value for money and great features at an affordable price. They are also very portable, considering that they are on-the-ear headphones. If you’re looking for something to listen to music while on the way to work, and dislike earbud-style headphones, then these will fit nicely.